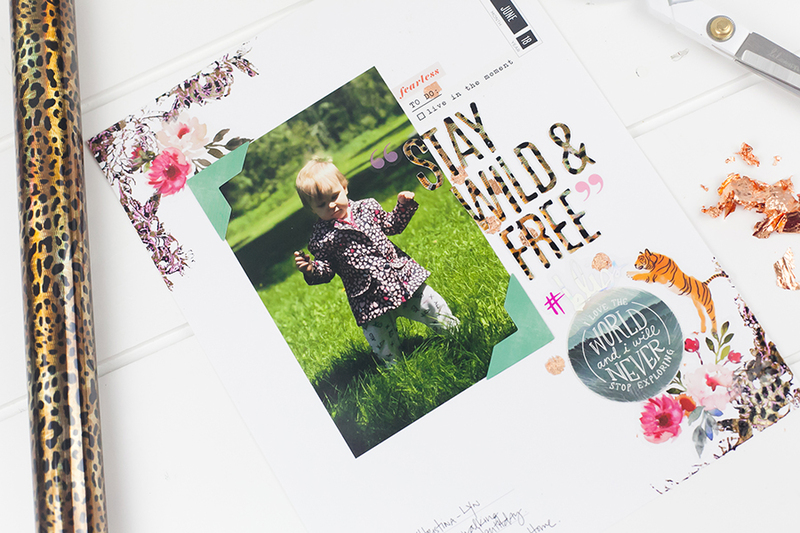 I love working with the Minc and Minc products when creating scrapbook pages. 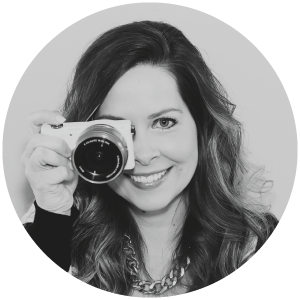 Using the Minc allows me to expand my creativity and enables me to try new ideas and techniques that are so much fun. I am going to share 3 of these ways with you on a brand new Storyline layout I created. 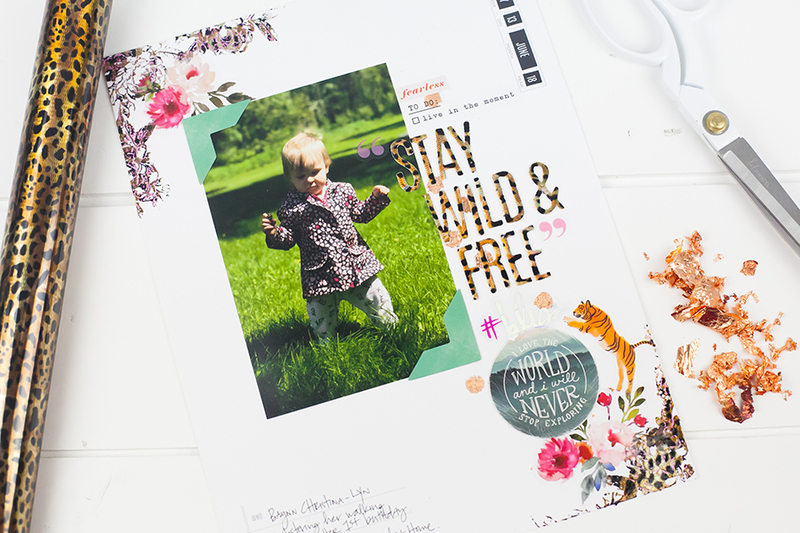 They are super simple and fun techniques that will add a “little wild” to your scrapbooking pages. The first technique I love is foiling a “stamped” image. Simply place a small amount of art screen ink onto a craft mat or paper plate. Next apply the acrylic floral stamp to a stamping block. Apply the art screen ink onto the stamp using a paint brush by ‘painting on’ the ink. Stamp onto your page as desired and repeat. Allow the medium to fully dry. Once dry apply your desired color of foil on top and run through the Minc machine (inside a transfer folder) on heat setting 3. Remove foil and reveal your fabulous foiled image! The second technique I did was using a basic stencil and the Minc glue pen. Using the minc glue pen fill in the stencil as desired. Remove and apply foil flakes to the glue images revealing gorgeous foiled designs. I love the texture and dimension foil flakes add to projects. The shine is just second to none. Such a fun technique! Lastly, double sided foam stickers are my absolute favourite. 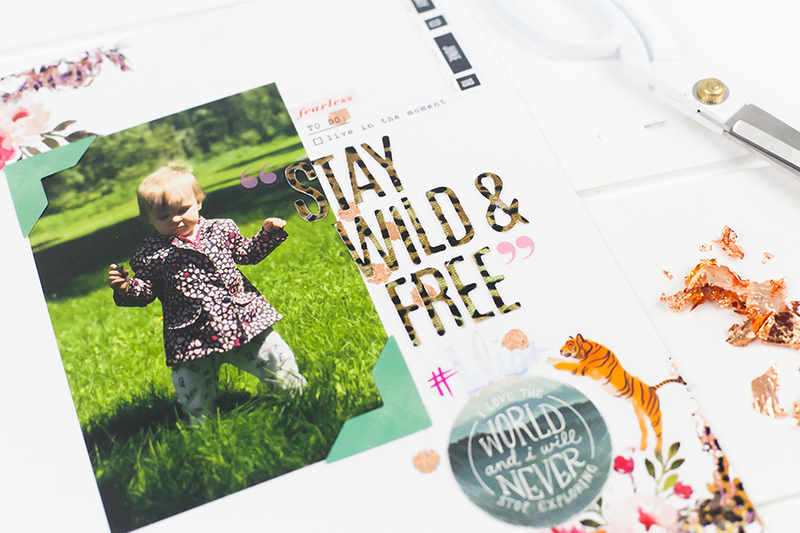 These stickers are so easy and fun to use and make great titles for pages. Adhere the stickers to your page. Remove the top layer of the sticker and simply press on desired foil. Rub gently with your finger and lift off revealing gorgeously foiled dimensional alphabets. Complete the Storyline scrapbook page with additional stickers, embellishments and journaling, as desired. Watch the video to see exactly how to create these wild techniques yourself!